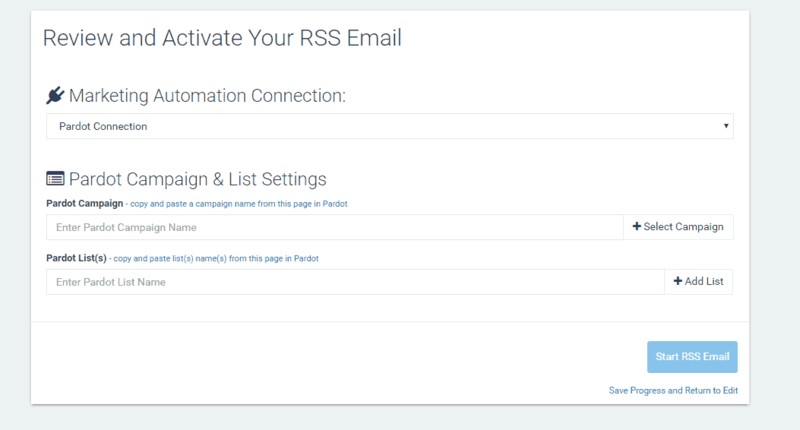 A setup guide detailing how to send RSS emails with Pardot and FeedOtter. 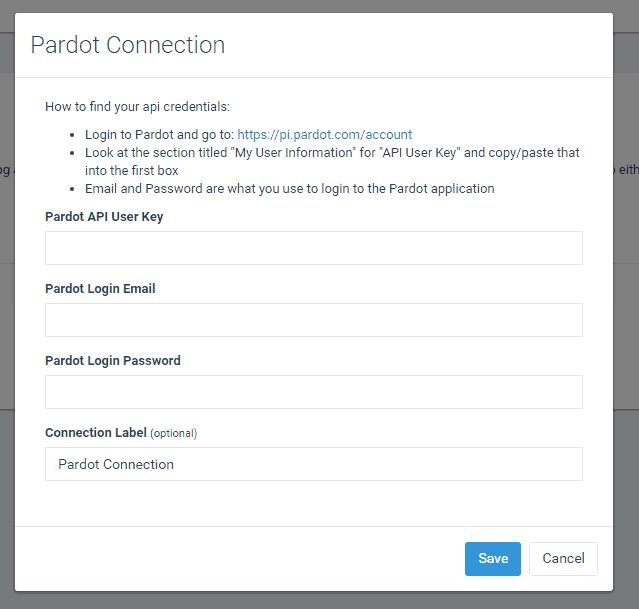 If you have already have a list in Pardot containing your subscribers you can skip this step. Click the Save button to verify FeedOtter can connect successfully. If you receive an error, please recheck your information and/or email us at success@feedotter.com to schedule a setup call. 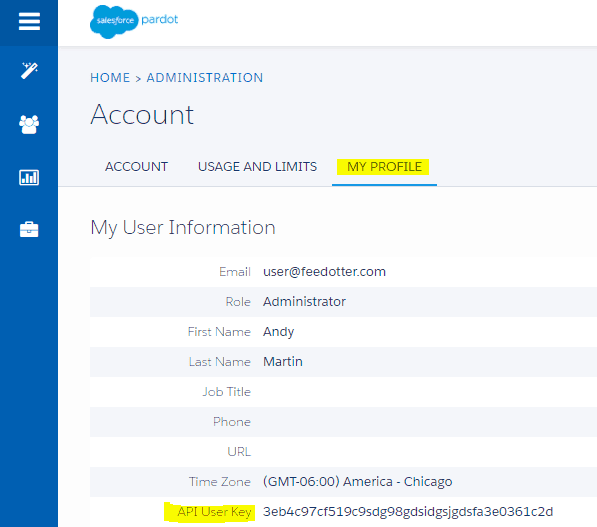 Next you need to tell FeedOtter what Pardot Campaign to associate with your emails and which Pardot List(s) to send emails to. Referring to the screenshot to the right, copy and paste the name of your Pardot Campaign and List(s) into FeedOtter and click the Select Campaign and Add List buttons respectively to each. Once, you have these items filled in, click the Publish to Pardot button to start your RSS email.